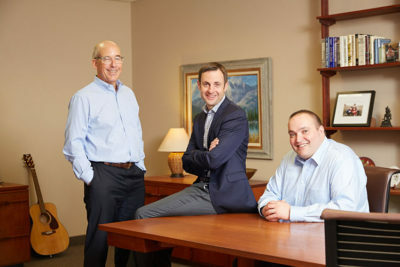 Why work with Armbruster Capital Management? Armbrust is a German word meaning "crossbow". In medieval times, an armbruster was an archer or soldier armed with a crossbow. We don't find much use for crossbows in our current occupation, but just like our ancestors, we aim to be straight shooters in all our dealings. When you work with a representative from a brokerage firm, insurance company, or bank, it is likely that you will be working with a sales representative rather than a true investment professional. 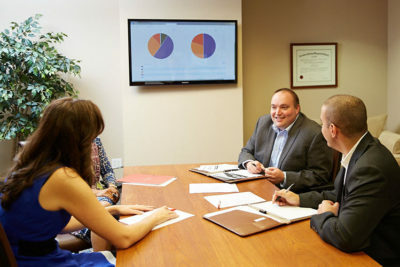 Our team includes CFA charter holders and CPAs. We read primary academic research, test theories with our own quantitative analysis, and understand the tax impact of our investment decisions (yes, we’re a little nerdy). We pride ourselves on the level of service we offer our clients. We provide all the basics, such as periodic performance reviews, quarterly statements and newsletters, and ongoing consultation via telephone and email. However, when clients need us the most, we go above and beyond. You can also use us as a resource for estate planning, financial planning, and tax issues. While we cannot offer formal advice in some of these areas, we can help discuss strategies so that you can reduce the time and money you will need to spend with your attorney or accountant. Armbruster Capital is a Registered Investment Advisor. We are not affiliated with any broker/dealer, do not accept any commission compensation, nor do we accept any third-party remuneration. We are independently owned and operated to remove conflicts of interest that could bias our advice. We work solely for our clients. In our industry, there are many financial intermediaries that charge high fees, all of which serve to reduce the returns retained by the end investor. We believe those taking the investment risk should be the ones who reap the returns. Accordingly, we keep our fees to very low levels and only use investment funds with costs that are highly competitive. We separate the investment management function from the custody function. This means that the organization managing your assets and the organization holding your assets can serve as checks and balances on one another. This greatly reduces the probability of malfeasance. We work with large institutional custody firms such as TD Ameritrade and Charles Schwab. Copyright 2017 © Armbruster Capital Management, Incorporated.